April 1 or April Fool’s Day is the day when we can “legally” pull out hoaxes, tricks, and practical jokes. It’s the time of the year when we can read stories and status of people stating that they are married or in a relationship or even pregnant on social media. 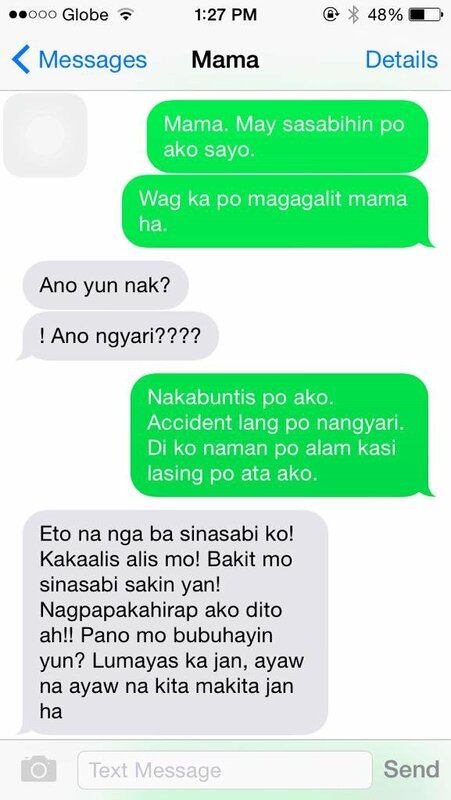 An exchange of conversation between a son and a mother circulated on social media last year. This year, it is making rounds on Facebook and Twitter again. 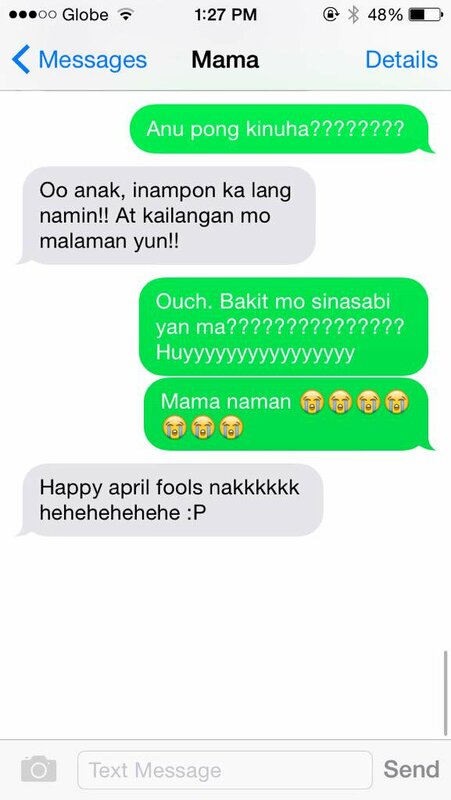 After all, it is not every day when we can play a prank on our mother (of all people), right? The only catch here is that the son did not foresee his mother’s reaction. 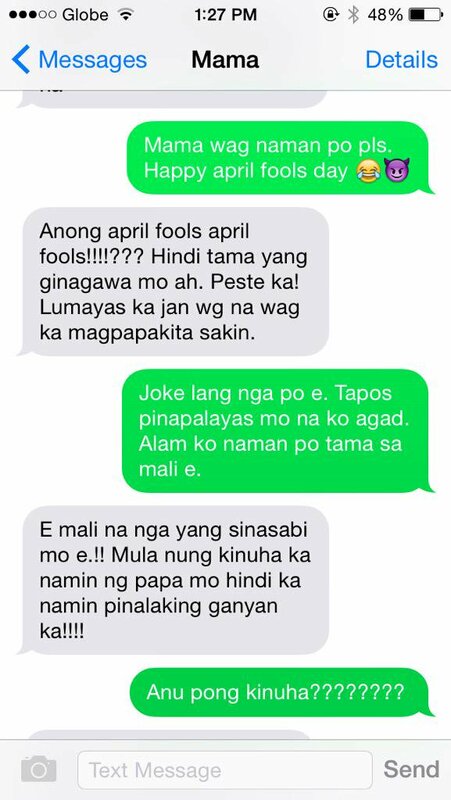 Everything started when the son sent a message to his mother saying that he has gotten his girlfriend pregnant as a part of his April Fool’s joke. Like any other parents, the mother was infuriated at the sudden revelation. As a result, he decided to kick him out of the house due to his irresponsibility. Obviously alarmed by his mother’s decision, the son easily gave in and revealed that everything is a joke. However, the mother, who was really angry at this point, decided to reveal the truth to her son: that he is adopted. The son was already taken by surprise by the sudden revelation and was out of words. After learning that his parents are not really his parents, he completely lost it. That is until his mother sent him another message saying that he is just pulling a prank on him. 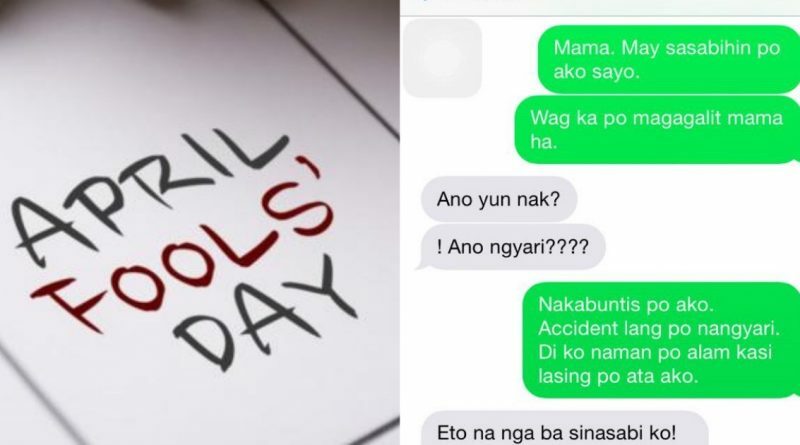 Many netizens expressed their respect and admiration for the mother who is not a killjoy and instead decided to take part in April Fool’s day. If you are the son, will you get a mini-heart attack too? What do you think your response would be? Let us know in the comments section below!